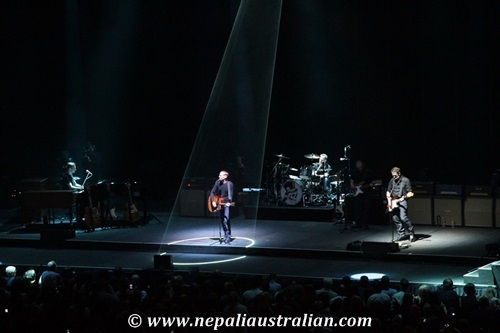 One of the concerts I have always wanted to attend was Bryan Adams. I really love his songs and they remind me of my school days. Songs like 18 Till I Die, Everything I Do, I Do It for You, Heaven, Summer of ‘69 used to be our party anthem. 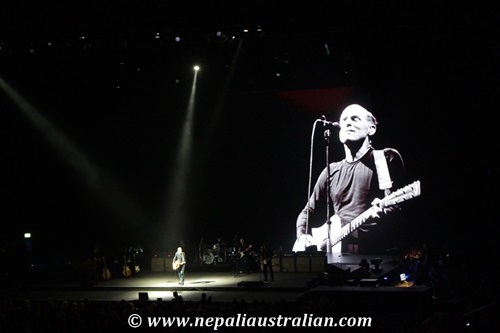 For those who don’t know Bryan Adams (I think there are many), click here for his biography . 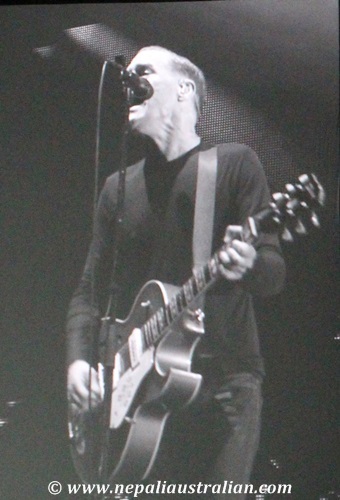 As Canada’s best-known ambassador, Bryan Adams has spent the last three decades making music history. 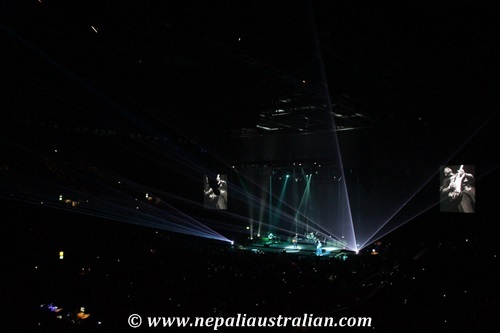 He has sold over 65 million records, toured six continents and achieved #1 status in over 40 countries around the world. With hits like, “Cuts Like A Knife”, “Summer of ’69”, “Kids Wanna Rock”, “Can’t Stop This Thing We’ve Started”, “(Everything I Do) I Do It For You”, “Heaven” and most recently “Thought I’d Seen Everything”, Adams status as one of the great songwriter’s of our time, has been solidified. He has won MTV Video Music Awards, Juno Awards, Grammy Awards and American Music Awards. 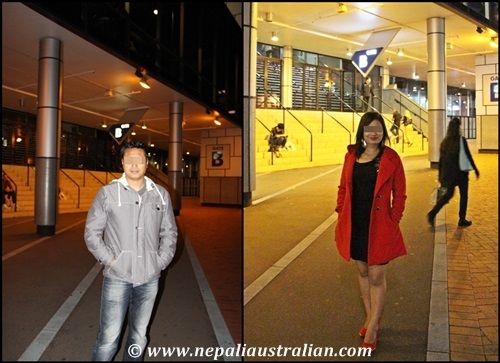 Last year, he had come to Sydney for a concert but we were in Nepal at that time so we missed it and not long ago he was in Kathmandu but we had just left Kathmandu so we missed again. 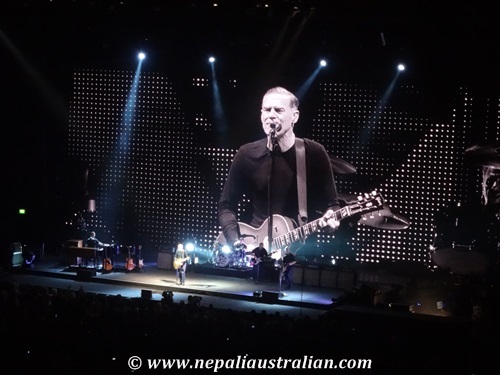 I was telling my husband, maybe we will never see him in concert again as he is not getting any younger which means he may not have that many concerts organised in Sydney. 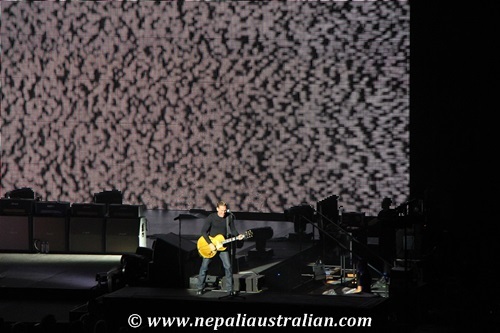 Lucky for us he had a few concerts organised in Sydney and we managed to get the ticket for Friday. I was already very happy to go and see him as I knew I would love it. I know most of his songs and I had heard that he is very interactive during his concert and I am glad to report that he didn’t disappoint me. After work, me and AS met up in the city and went to have dinner first. The concert was to start at 7:30 so we wanted something quick and yummy so we decided to eat Korean. I loved my spicy pork with rice and AS enjoyed his noodle with prawns. I was really excited so we went to the concert hall at 7:00. There were already many people waiting in the bar and eating areas. We showed our tickets and went inside to find our seats. It looked like people were already there and excited. By 7.30, the hall was less than 70% full. I was surprised that it wasn’t sold out. 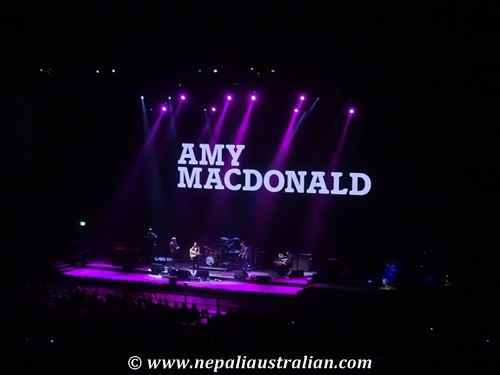 The light went off and Amy Macdonald was on the stage. She introduced herself as a Scottish recording artist. I have to say her voice was awesome and even though I have never listened to her songs, I really enjoyed her voice. 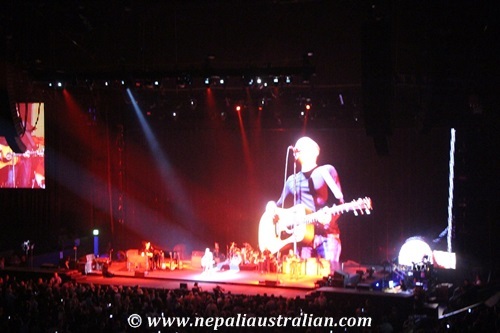 After she was done, the arena got really excited as it was Bryan Adams on the stage soon. By then the arena was 99% full. 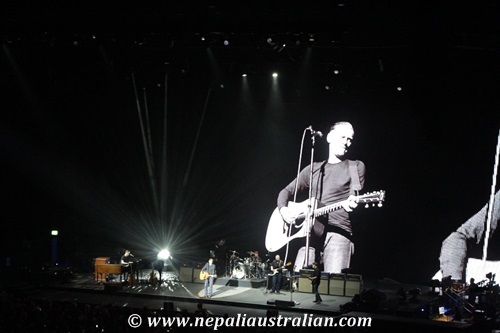 It was amazing that so many people knew that Bryan Adams won’t be on stage till after 8pm. Looking around I realised that most of the people there were a bit older than us. I guessed they must have been in their teens or 20’s when Bryan Adams was very famous. And there were younger people like me as well who must have been in love with him from very young age. It was a really good idea to keep us engaged for a while. 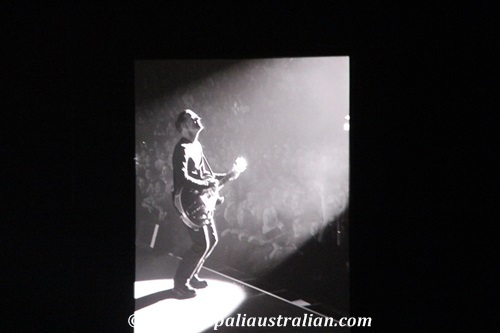 Anyway, the light of the arena went dim again and it was the man himself on the stage. I was so excited and happy to see him. 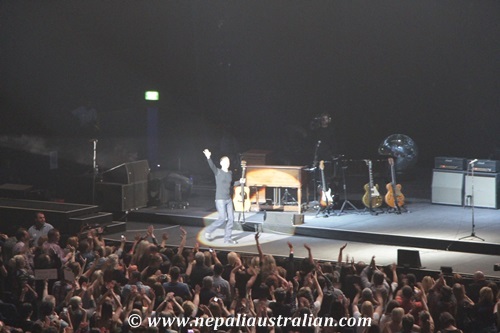 Straight away, everyone was cheering and the amazing night began. He sang all my favourite songs and I didn’t want him to stop. I really have to admit that he is really great even at 52 years to rock the stage like that for over 2 hours. 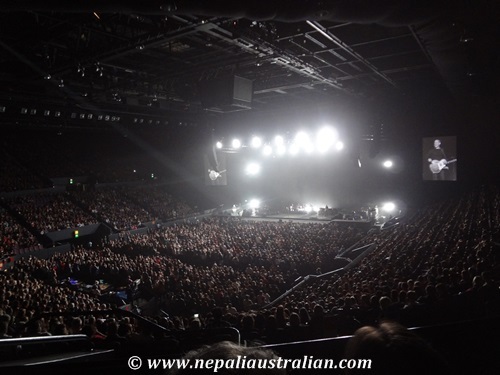 The audience were standing up and swaying to the beats. There were also some taking pictures or video on their phones. 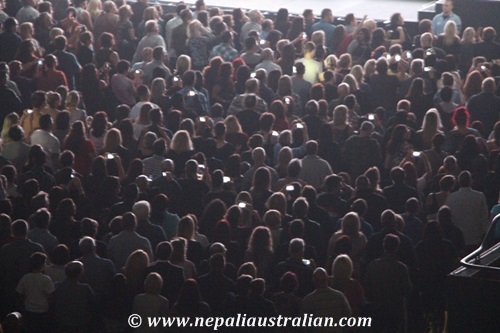 We could see the whole arena dotted with the lights of the mobile phone screens like stars on a dark night. He normally has great audience interaction and this time as well he picked a girl from the audience to help him sing the “Baby When You’re Gone” duet. I wish I could have gone on the stage but this lucky girl from Penrith did a great job singing the song with him. She was just ecstatic to be there with Bryan and was giving him numerous hugs and kisses that many in the audience would have died for. At the end he acknowledged his band members Keith Scott (lead) and Mickey Currie (drums). Mickey Currie was awesome as he played the drums using only bucket and metal plates at one point. Both me and AS were really impressed. 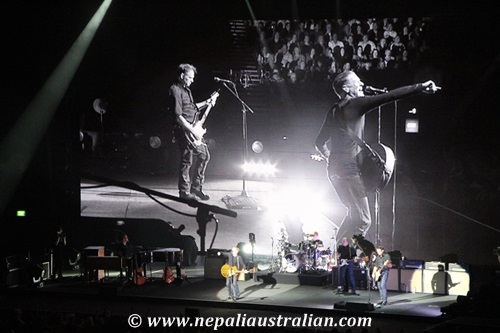 You’re welcome back to Australia anytime Bryan Adams. 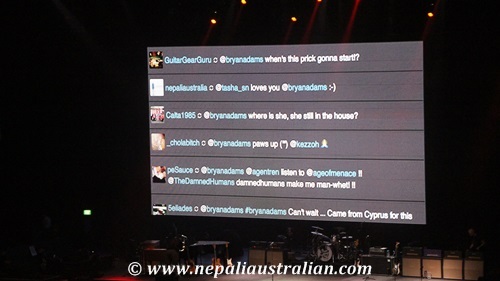 Do you like Bryan Adams? Which is your favourite song? 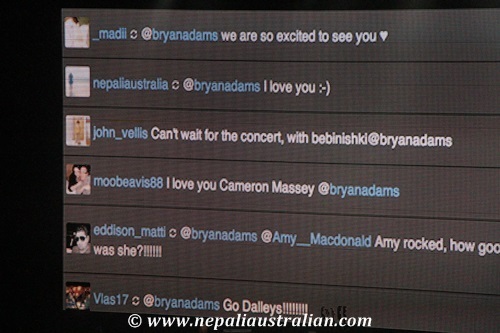 This entry was posted in Australia, Music and tagged 18 til I Die, All for Love, American Music Awards, Bryan Adams Live, Bryan Adams Live in Australia, Bryan Adams Live in concert, Bryan Adams Live in Sydney, Don't Leave Me Lonely, entertainment, Everything I do, heaven, I do it for you, Let's Make a Night to Remember, mtv video music, MTV Video Music Awards, music, Please Forgive Me, Songs like 18 till I die, Summer of 69, video music awards. Bookmark the permalink. 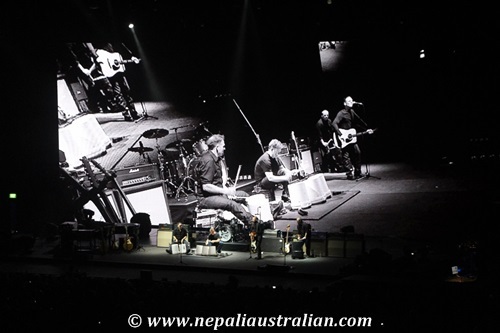 Bryan Adams is awesome, but really, any big concert is a special experience. I love the feeling of couple of thousands of people singing the same song together. There’s something enchanting about it. 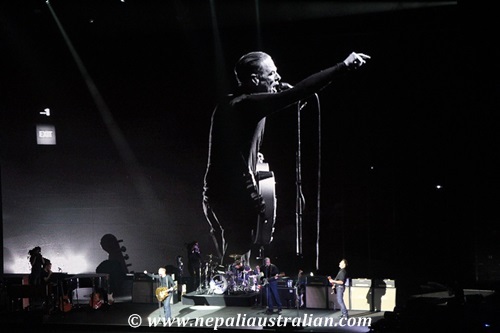 I’m glad you finally got to see Bryan Adams though. I hope you had fun! Lol, noooo. He’s definitely not Canada’s ambassador in any way! In fact, there was an episode on South Park where the Canadian Prime Minister apologized for the existence of Bryan Adams. People in India seem to love him too (I think it’s a pan Asia phenomenon). 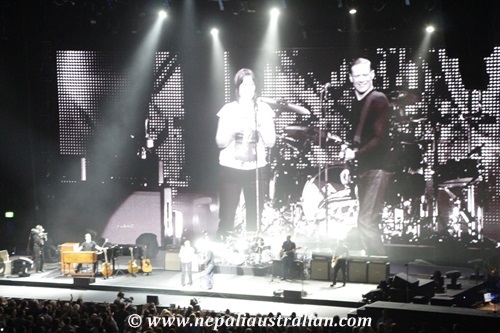 There was a blogger called Nepaliketi who wrote a post on the Bryan Adams concert in KTM which was hilarious! Some fans got really offended and she got a lot of flak for it, but I thought it was meant to be taken with a grain of salt. Why Canadian people don’t like him? When I think of him, I always think of Canada. OMG!! 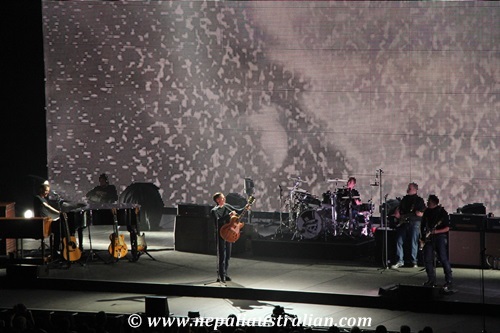 ” “Everything I do, I do it for you”, “Heaven”, and “Have You Really Loved a Woman” sounded awesome when it was live. It was like he was taking the audience on an amazing journey to the love land. ” I love everything about this post!! And M I can’t believe you did that!! Eeeekk! I’m all jumpy on my seat! 😀 I thought you tweeted randomly! Geez THANKS!